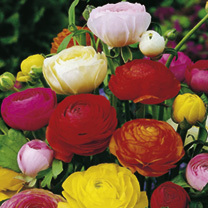 Bring colour to your patio with this great offer of bulbs, tubers and planters:Ranunculus Mix – Brilliant coloured mix for beds, borders, containers or cutting. Flowers May-July. Height 25cm (10). HP – hardy perennial. Pack of 10 bulbs.Anemone de Caen Mix – Easy to grow. Gorgeous colour mix. Ideal for cutting. Flowers April-May. Height 3cm (12). HP – hardy perennial. Pack of 15 bulbs.Begonia Picotee Lace – Unusual blooms with crimped and picoteed edges. Vivid white with pink picotee. Height 30cm (12). Flowers July-October. Pack of 5 tubers.Planters – 3 great planters for patios and small spaces. 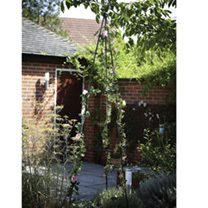 As its name suggest the quick and easy obelisk can be put together in just a few minutes and can be positioned anywhere in the garden to offer you a feature for your flower display. 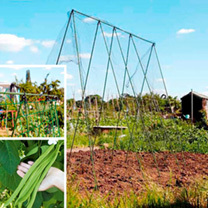 Made from a durable and robust plastic coated steel it has adjustable brackets and rubber dome top, simply construct and leave all year round or disassemble during the winter and store compactly. 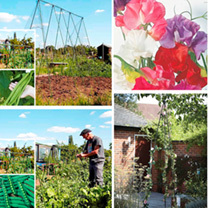 Height – 2mAlso supplied is a pack of the truly magnificent Giant Wave Sweetpea Seeds, a blend of long-stemmed, fragrant varieties in a range of attractive colours. Height 1.8m (6′). Medium scent. HA – Hardy annual. 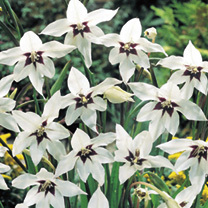 This scented bulb collection will bring not only perfume to your garden or patio but also a lovely range of colours. PLUS you will receive a FREE pack of five Begonia Sensation tubers!Acidanthera Murielae – This lovely plant boasts attractive pleated foliage and exquisite, beautifully scented, ‘blotched’ flowers about 10cm (4) across. Ideal for cutting. Flowers August-October. Height 80cm (32). 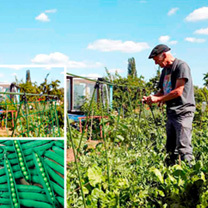 HHP – half-hardy perennial. Pack of 30 bulbs.Freesia Double Mix – Fine colour mix of luxurious, double, scented blooms. Flowers June-August. Height 45cm (18). 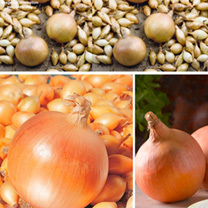 HHP – half-hardy perennial. Pack of 12 bulbs.Tuberose The Pearl – An enchanting plant producing tall stems topped with pearly-white double flowers. The waxy blooms are delightfully fragrant – ideal for cutting and highly prized by florists! Flowers July-August. Height 60-90cm (2-3′). HHP – half-hardy perennial. Pack of 3 tubers.Begonia Sensastion Mixed – Spectacular cascading plants with masses of large blooms held on extra strong arching branches. Ideal for baskets. Flowers June-October. 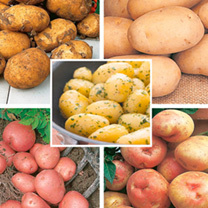 FREE PACK OF 5 TUBERS. 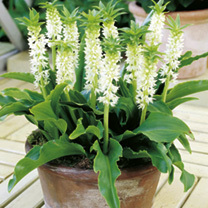 Offer includes 4 Eucomis autumnalis bulbs and a planter.Eucomis autumnalis – Upright spikes of white flowers. Flowers August-September. Height 30cm (12). HP – Hardy perennial. Planter – Great for a patio or small space. This nerine collection will bring added colour at the end of the summer, just as many flowers are coming to an end, nerines will surprise you with an explosive display of vibrantly coloured sparkler-like blooms. Ideal for cutting and they’ll last for tow weeks in a vase of water!Nerine bowdenii – Magenta pink. Flowers September-October. Height 35cm (14). HP – hardy perennial. 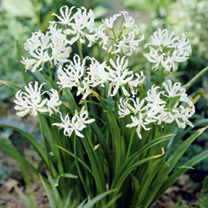 Pack of 9 bulbs.Nerine alba – White. Flowers September-October. Height 45-60cm (18-24). HP – hardy perennial. 1 FREE BULB.